The New Croft are hosting a Haverhill Rovers Summer Camp in July and through August! Come along and join the coaches for a fun packed summer holiday. 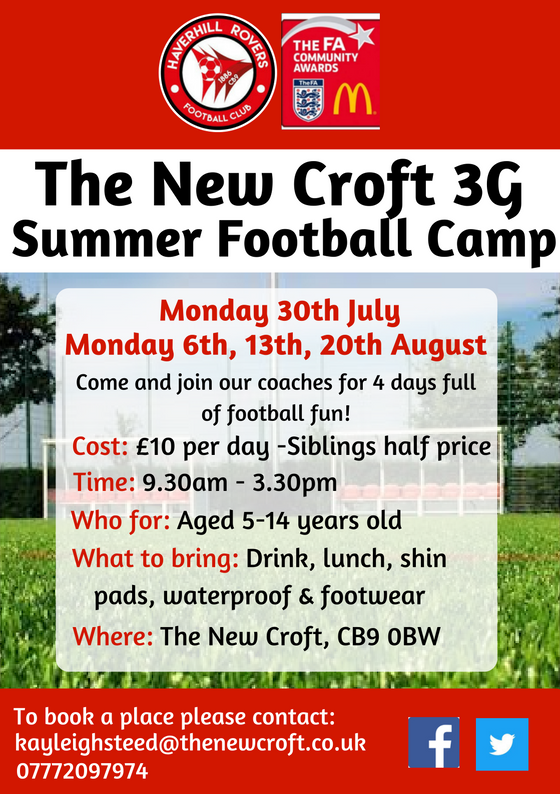 Please contact Kayleigh Steed on kayleighsteed@thenewcroft.co.uk.